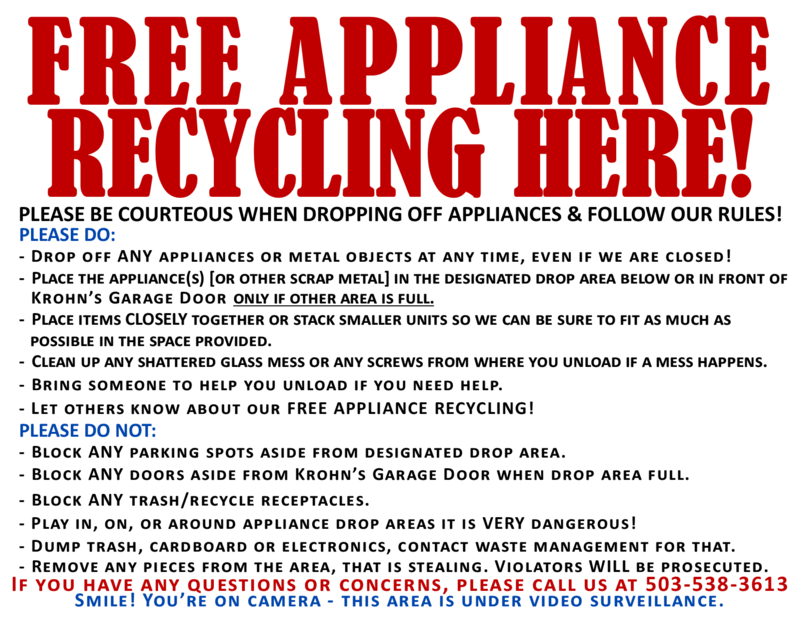 Why spend money at the dump, when you can recycle your appliance for FREE at Krohn's? *We can also accept other scrap metal including BBQ's, Water Heaters, AC Units, Metal Pipes. PLEASE NO COMPUTERS, TV'S, OR SMALL APPLIANCES (Blenders, Vacuums, etc) Goodwill accepts those! Appliances can be dropped off at your convenience at our back entrance off at 418 Hulet Lane. if that is full please put them in front of KROHN'S Garage door, not in the middle of the parking lot!